We like to cook our paellas in a huge pan outside over an open fire using hardwood lump charcoal, and, when our woodpile is abundant, some fruit wood. Together, they give the paella an irresistible smoky flavor. But, it’s far too freezing cold outside for that whole rigamarole, so we made one for lunch today in one of our smaller pans on top of the stove. 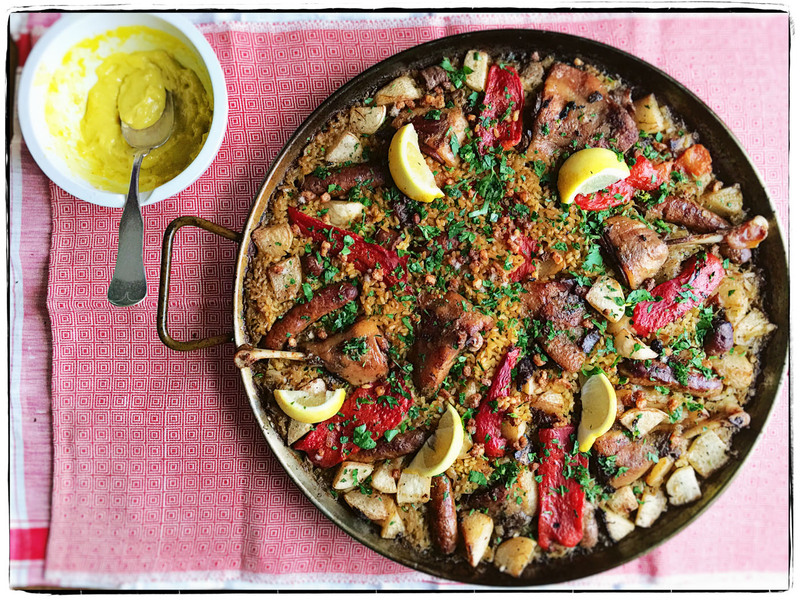 And there’s nothing not to like about this “diminutive” paella: duck confit, turnips, fire roasted red peppers, soffrito and saffron (of course), garnished with chopped parsley and lemon zest. Right after lunch it will be time for our siestas.